Discover how to advertise your products on Google Shopping and use the tool to drive sales, leads, and website traffic. 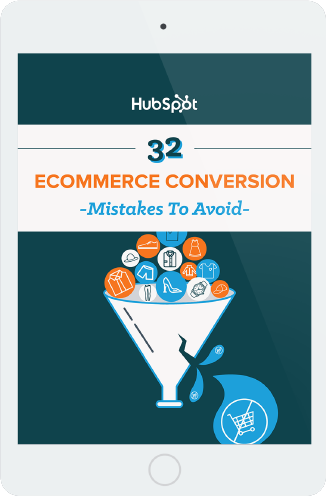 Fix these common mistakes to increase your conversion rates (and revenue). But, have you ever been looking for a product and wanted to shop among a variety of brands and labels? This can be a pretty clunky process if you’re hopping between ecommerce websites. This is where online shopping marketplaces come in handy. Think: Amazon, eBay, Etsy, and — you guessed it — Google Shopping. While Google Shopping isn’t technically an online marketplace (it’s more of an ad platform, but more on that later), it provides shoppers the same opportunity to browse a variety of products based on their search query. 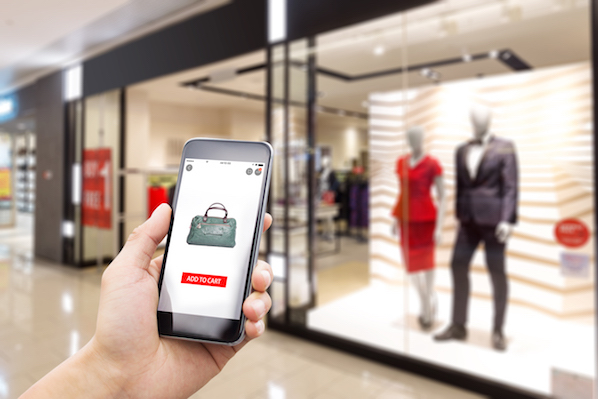 Google Shopping also benefits retailers because, when a shopper clicks on a product link, they’re sent back to the retailer’s site to make the purchase. If you’re not advertising your products on Google Shopping, you’re missing out, my friend. We compiled this guide to help you better understand Google Shopping and get started with your first Shopping campaign. Keep reading to get started, or use the chapter links to jump ahead. Google Shopping is a Google service that allows consumers to search for, compare, and shop for physical products across different retailers who have paid to advertise their products. This is also known as a Comparison Shopping Engine (CSE). Google Shopping results show up as thumbnail images that display each product’s retailer and price. When it was released in 2002, Google Shopping was called Froogle. The service simply indexed product data based on certain search terms. In 2012, the service shifted to a paid advertising model where retailers had to pay to be featured in the Google Shopping search results. From that point forward, Google Shopping became a “branch” of Google AdWords — yet another way for retailers and e-commerce businesses to advertise their physical products on Google. But unlike text-based Google ads that show up based on keywords, Google uses product data uploaded by merchants to display Google Shopping ads. Why use Google Shopping? In short, it works. Here’s my personal anecdote about Google Shopping. I’m currently in the process of moving apartments here in Chicago, and my boyfriend and I are looking for a sleeper sofa — preferably a sectional — for our new apartment. I’m not loyal to a specific furniture or home goods brand, so I’ve been looking for ways to easily search for a new sofa across multiple retailers. Enter: Google Shopping. When I Google “sleeper sectional sofa,” it pulls up lots of websites … along with the sponsored Google Shopping results. Bingo. By clicking on See sleeper sectional or on the Shopping tab below the search query box, I can access a variety of sofas from different retailers. Google Shopping also allows me to filter the results by price point, size, fabric, and more. So, I’m a fan of Google Shopping. I haven’t made a purchase yet, but I do anticipate that I’ll find our ideal sofa by using this service. Google Shopping adds a visual touch to an otherwise text-heavy searching and shopping experience. Google Shopping allows you to show up multiple times in Google SERPs — as a website result, a text-only PPC result, and a Shopping result. Google Shopping is proven to have 30% higher conversion rates than text ads. Let’s talk about how to get your products listed on Google Shopping. Below, we’ll walk through the steps required to manually set up your account. Tip: If you have a lot of products, this process might be easier to outsource to a Google Shopping data feed tool. To get your products featured in Google Shopping results, you must sign up for a Google Merchant Center account. Read our guide to Google Merchant Center to learn more about creating and managing your account. Google Shopping uses uploaded product feeds to index search results, but it pulls the featured images from the respective retail sites. Because of that, it’s important to optimize your product imagery and listings on your own website before you market them on Google Shopping. Google Shopping is a highly visual experience. Your product photos are arguably the most important part of your listing, and they may be how shoppers choose which product to click and buy. Google knows this and — in the interest of providing a great shopping experience for consumers — will actually deny Google Shopping campaigns if the images are low-quality. Avoid blur, noise, excessive .jpeg additions, or other image tweaks like pixelation, fringing, and fading out. Other best practices include showing apparel products on-body, using shadows to add depth, providing multiple angles of your product, and featuring real people using it. These product image specifications are also good to master if you sell your products on other marketplaces such as Amazon, eBay, or Etsy. With your images optimized, it’s time to create your product data feed. Your product feed tells Google all about your products. This data is essential because it helps Google find and display your products when people search for certain product terms or attributes. To set up your product feed, go to your Google Merchant Center account. Click Products > Feeds, and then click the blue “+” icon. First, enter your country and language. This data determines which demographic(s) will see your products, so it’s important. Next, name your product feed and choose how you’ll input your product information. If you choose Google Sheets, you can either upload your own spreadsheet or use a template provided by Google Merchant Center. This step also allows you to create an upload schedule depending on how often you update your inventory. This spreadsheet is used to assemble the product attributes that Google will use to index and display your products. Below is a brief list of some required product attributes that Google uses to create your Google Shopping ads (plus a cheeky sofa example). description — An accurate description of your product. Should match the product landing page. Only include information about the product. Example: This sleeper sectional sofa was made especially for Allie’s new apartment. Made from 100% cloud-based material, this sofa is perfect for snuggling her dog, binging on Cheez-its, and watching too much Netflix. It also has a pull-out bed for when her mom comes to visit. You can find the full list of Google’s Product data specification here. We recommend you read it as we couldn’t fit the entire list of required and optional attributes in this blog post. If you choose to use the template provided by Google Merchant Center, the spreadsheet will already reflect the product attributes as column headers. If you choose to create your own spreadsheet, input your chosen product attributes as the column headers. Fill out the respective data with each product as its own row. If an attribute doesn't apply to a product, leave that cell blank. When complete, simply upload the document to Google Merchant Center. Voila! From that point forward, you can access your product feed on your Google Merchant Center account under Products > Feeds > Primary feeds. When you search for a product on Google, the Google Shopping results you see are actually advertisements. That’s right — in order to get your products on Google Shopping, you have to pay. While Google Merchant Center is how Google gets your product information, Google AdWords is how consumers see your products … through Shopping campaigns, which we’ll get to next. To get your products in front of shoppers via Google Shopping, you’ll have to link your Google AdWords account. Log into your Google Merchant Center account. In the top right-hand corner, you’ll find three vertical dots. Click those to expand the menu, and then click Account linking. If you don’t have a Google AdWords account, you can create one from this screen. Otherwise, click Link account to enter your Google AdWords customer ID. Once you’re finished, your AdWords account should be linked. 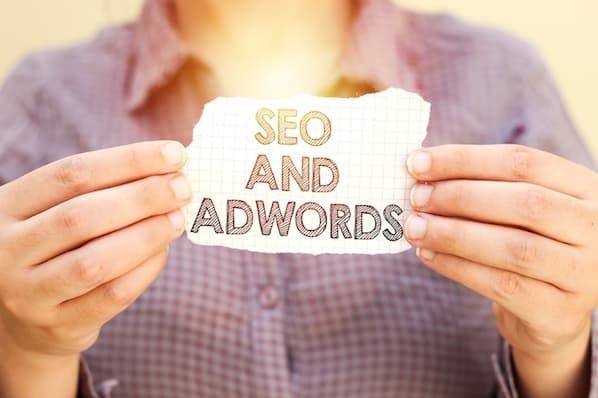 Once your Google AdWords account is linked, you’ll be able to create a Google Shopping campaign and advertise your products. There are a couple different ways to get started. One way to create a Google Shopping campaign is through your Google Merchant Center account. After you link your Google AdWords account via the Account linking page, you should be able to access it from the same place. From there, you can simply click Create Shopping Campaign. Next, insert the campaign name, country of sale, and daily budget. Once you click Create, you’ll be prompted to continue managing your campaign through Google AdWords. The other way to create a Google Shopping campaign is through Google AdWords. Log into your Google AdWords account. Open the Campaigns tab on the left-hand side menu, click the blue “+” icon, and choose New campaign. Sales campaigns drive sales online or in person. Leads campaigns gather leads and other conversions by encouraging shoppers to complete an action. Website traffic campaigns bring the right people to your website. Google tailors each campaign to align with your goal, so be sure to choose whichever one is best for your business. After you choose a campaign goal, designate the campaign type as Shopping. Make sure your Google Merchant Center account is displayed (so Google AdWords knows where to pull your product data from) and indicate your country of sale. Lastly, choose a campaign subtype. Note: Smart Shopping campaigns require conversion tracking so AdWords can track when your ads lead to sales on your website. For explanatory purposes, let’s choose a Standard Shopping campaign. The next screen contains all your Google Shopping campaign settings. First, enter a campaign name, and click Additional settings if you want to set an inventory filter, enable local inventory ads, or change your campaign URL options. Next, under your Google Shopping settings, you’ll be asked to select your bidding strategy and set your campaign budget. First, select your bid strategy. Manual CPC (cost-per-click) means you set your own maximum CPC for your ads. You can also set an automated bid strategy. Target ROAS (return on ad spend) and Enhanced CPC both require conversion tracking as Google uses your ad’s conversion rates to set the most efficient bid for your products. With "Maximize clicks", Google Ads automatically sets your bids to get as many clicks as possible within your budget. You can set a Maximum CPC bid limit to cap your spend on each ad. Next, choose your campaign budget. This is the amount of money you want to spend on average each day … but the amount isn’t capped daily. Instead, Google manages your budget monthly: in a month, you won’t spend more than your daily budget times the number of days in each month. For example, let’s say I set my campaign budget to $100 for the month of February. Google sees that I’m willing to spend $100 x 28 days = $2,800 in February. As it places bids on my ads, Google might spend over $100 in a day, but it’ll never spend more than $2,800 in the month. You can also set a delivery method for your budget: Standard spends your budget evenly over time, and Accelerated spends it quicker. Lastly, if you are running more than one campaign, you can set a campaign priority so Google knows which bid will be used. Read more about the fundamentals of PPC advertising in our ultimate guide. The last section of the Google Shopping campaign settings is all about targeting and scheduling your campaign. This part is important because it dictates who will see your product ads and when. The first two settings — Networks and Devices — shouldn’t change. They’re basically just telling you where your product ads will show up. Finally, set the start and end dates of your Shopping campaign. Your ad will continue to run unless you set an end date, so don’t forget that section. After you complete your Google Shopping campaign settings, you’ll be prompted to build ad groups for your campaign. Ad groups determine what type of ads you’ll run and how you’ll organize bidding for those ads. There are two types of ad groups you can run: Product Shopping ads and Showcase Shopping ads. Product Shopping ads promote a single product. Showcase Shopping ads are a new format and allow you to advertise multiple products as part of a product or lifestyle ad that represents your brand or business. If you choose a Product Shopping ad group, enter your ad group name and set a maximum CPC bid. This creates one big ad group for all your products. If you wish to filter your products further, you can create separate ad groups for different categories. If you choose a Showcase Shopping ad group, enter your ad group name and set a maximum CPE (cost per engagement) bid. (Engagement occurs when someone expands your Showcase Shopping ad and clicks on spends at least 10 seconds within the ad.) Lastly, choose what products to advertise as part of the Showcase Shopping ad. Google Shopping is a welcome change from an otherwise text-heavy online shopping experience. It’s almost like a digital mall — shoppers can enter, search for what they want, and see many different brands and types of products on one screen. For that reason, many people (including myself) prefer marketplaces over shopping for products on a standalone ecommerce site. If your physical products aren’t being advertised in the Google Shopping results, consider adding this tool to your marketing repertoire. Not only will it boost your website traffic, but it’ll also give you leads and sales you otherwise might not have collected. Use this guide to get your Google Shopping campaign up and running, and you’ll see how it can greatly benefit your ecommerce strategy.